Bristol or the Bahamas we can help you nail your web site problems, over the bridge in little old Wales serving customers with quality Web Design and Google friendly sites. TCRM provide web sites at prices that will delight you. Great Sites + Great Prices = Common Sense, contact TCRM now. 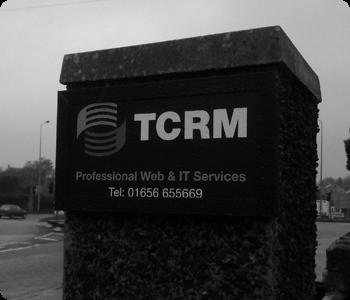 Finding TCRM is easy, We are located at 111, Ewenny Road, Bridgend, Mid Glamorgan, near to the Ewenny Roundabout on the A48. If you are using a sat nav please use CF31 3LN. If you are using Celestial Navigation we are on the third rock from the sun, not near a small planet in the vicinity of Betelgeuse. Please ask for directions when you land.